To become a self-proclaimed barman you don’t need two dozens of different bottles, an array of liqueurs and exotic fruits, oh no! 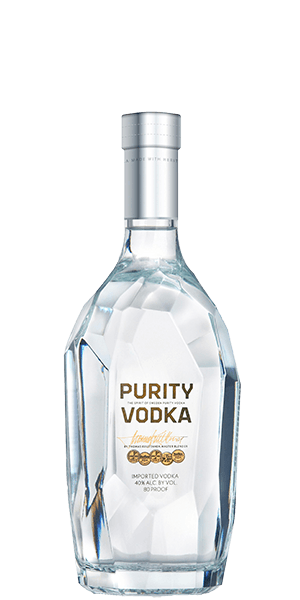 You can start with a bottle you enjoy the most and give it a twist. Just add some sugar, a twist of lime, club soda and some ice to your Rum, Gin or Whisky and you’ve made your first step to the world of Cocktails. Bravo! For the next step (and to perfect the first one) we come to aid you with assistance from David Solmonson and Lesley Jacobs Solmonson, authors of THE 12 BOTTLE BAR book. 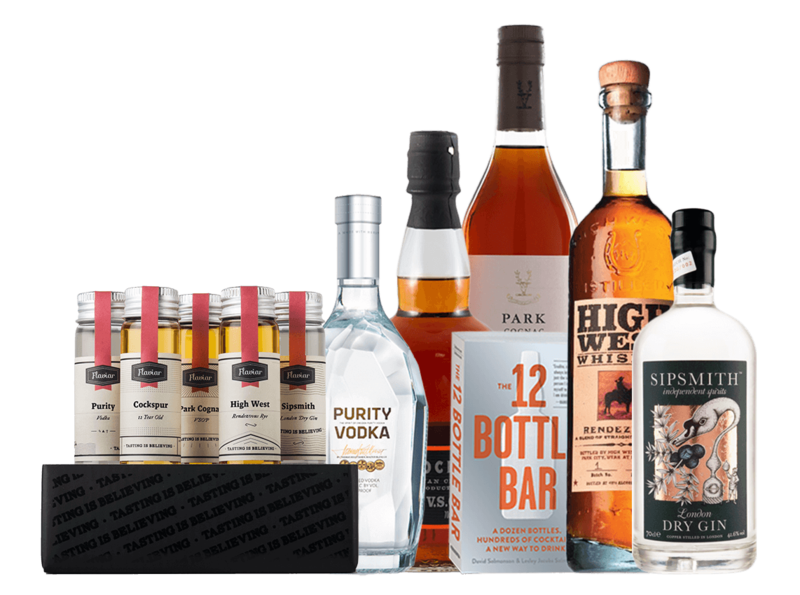 Not only did they help us with the curation of this tasting pack, their book also unveils everything from tips to tricks and lots of interesting historical trivia that will guide you to the trade of crafting your own cocktails – from those dating centuries back, to the hypest recipes around. All made in a way that you can DIY, and to leave your girlfriend and snobby friends craving for more of your black belt bar-ninja skills. - topped with expert advice: 12 Bottle Bar Book that's full of information & recipes (hey, we're talking 416 pages here!) that will let you in on the secret that is Cocktails, without making you feel like you need to buy a ton of mixology equipment and ingredients. But beware, you might be harassed from your closest ones from now on to never stop mixing these divine elixirs. 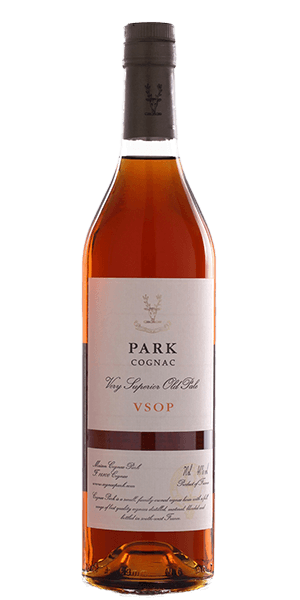 1) The wine used for Cognac is very dry, acidic, and thin, but excellent for distillation and ageing. 2) Rye - think of it as Bourbon's edgier cousin. 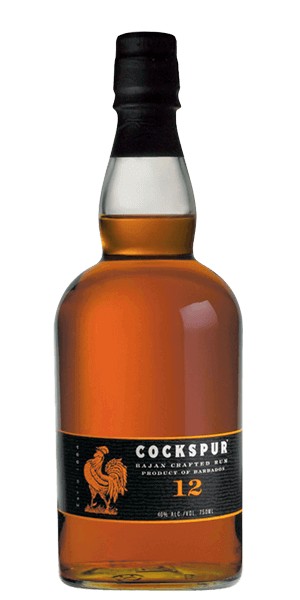 It’s known for imparting, what many call a spicy or fruity flavour, to the Whiskey. Bourbon (distilled from at least 51% corn), is noticeably sweeter, and tends to have a fuller body than Rye. That’s why the character of a cocktail made from Rye, instead of Bourbon, is drier. 3) Rum usually comes from molasses; the sweet and syrupy residue left behind after sugar crystals are extracted from sugar cane juice. Molasses is over 50% sugar, but it also contains significant amounts of minerals and other trace elements, which can contribute to the final flavour. 4) Juniper berry is the main ingredient of Gin. 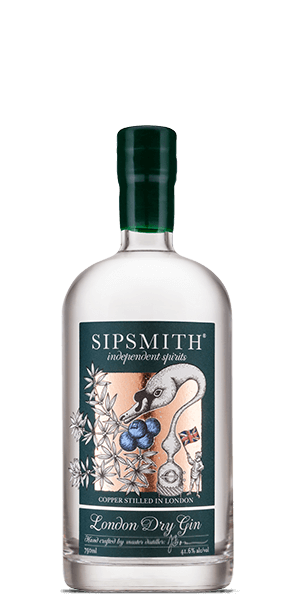 They are usually picked wild by independent workers throughout Europe, and sold via distributors to the Gin makers of the world. 5) There are more than 700 cocktails made with Gin known to Man. 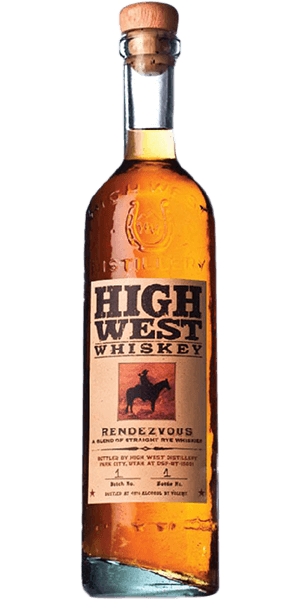 6) Before the prohibition in America, Rye whiskey distilleries dotted the landscape of the mid-Atlantic, with many distilleries in New York, Virginia, Ohio and Pennsylvania. The whiskey rebellion concerned Rye, and even George Washington distilled Rye whiskey at Mount Vernon. 7) The French aren’t too fond of Cognac. They export almost 90% of it. 8) Rum is why we measure alcohol proof. To make sure Rum wasn’t watered down, it had to be ‘proven’ by soaking gunpowder with it. If it was ‘overproof’ (higher than 57.15 % vol. ), then the gunpowder would ignite, if it wouldn’t, it was ‘underproof’.